This Springer spaniel is presented with this rather gruesome eye – what do you see, where else would you look and what would your treatment be? There is exophthalmos with gross third eyelid protrusion suggestive of a retrobulbar space-occupying lesion. The mouth was painful to open suggesting infcetion and inflammation rather than tumour and here, behind the last molar, was a draining tract. This needs to be further opened with antibiotics and anti-inflammatories until the abscess resolves. 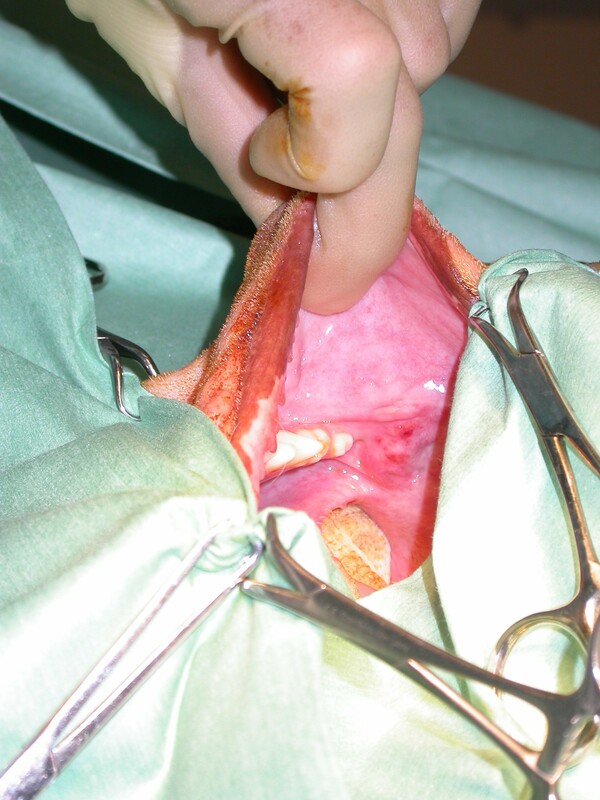 This entry was posted in Cases and tagged dog, retrobulbar abscess. Bookmark the permalink.